So kommt der junge Nigerianer Diallo ins Haus Hartmann und es beginnt ein Verwirrspiel, eine verrückte Refugee-Welcome- Geschichte, die von bösartigen Nachbarn, Nazi-Aufmärschen vor der Haustür, Asylprozessen, Polizeiüberwachung, ein Zebra im Wohnzimmer, IS-Albträumen und Terrorabwehr erzählt. Aber auch von gegenseitigem Verstehen(-Wollen), politischem und gesellschaftlichem Engagement, Mut und Zivilcourage. Simon Verhoevens Film Willkommen bei den Hartmanns, eine Komödie, die bei Kritik und Zuschauer*innen große Erfolge feierte, wird von Angelika Hager, Journalistin (Polly Adler) und Autorin, für das Burgtheater bearbeitet. Wir danken der Gesellschaft der Freunde des Burgtheaters für ihre Unterstützung durchsetzen. Designed by the architects Fellner & Hellmer and Ludwig Baumann and built between 1911 and 1913, the Akademietheater has been the Burgtheater’s second venue since 1922. 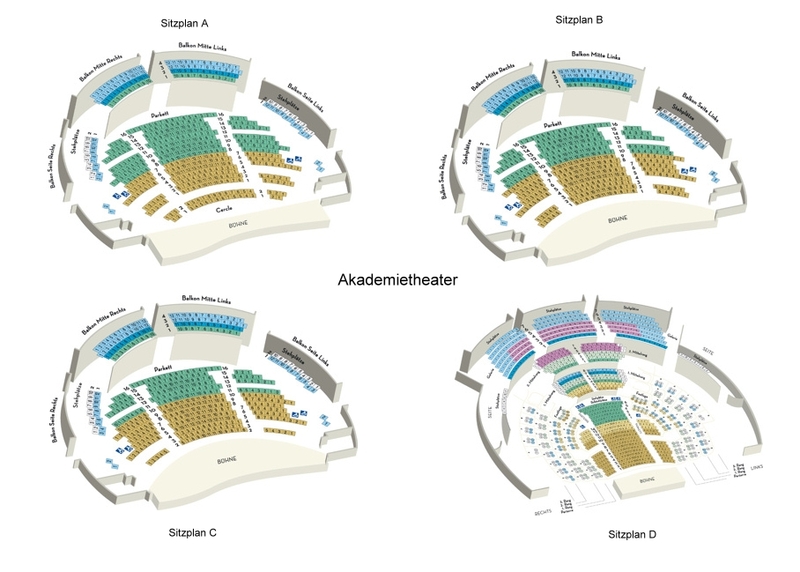 After many years of requests from ensemble members of the Burgtheater who wanted a second stage of more intimate dimensions, Max Paulsen succeeded in affiliating the “Theatre of the Academy of Music and the Performing Arts”, for brevity 's sake called Akademietheater, to the Burgtheater as a smaller, second venue. It was inaugurated on September 8, 1922, with a performance of Goethe’s Iphigenia in Tauris. After the Second World War, which the building survived intact, the theatre was re-opened on May 19, 1945, under the direction of Raoul Aslan with Ibsen’s Hedda Gabler. 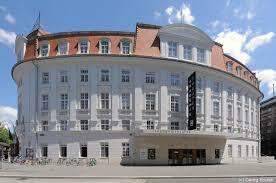 The Akademietheater was refurbished and technically upgraded in 1974 and in 1999. Visitors to the Academy theater and casino can order a parking fee of € 5, - parking garage at Beethovenplatz - for 5 hours in the period from 17:00 clock - 08:00 clock ( Saturdays , Sundays and holidays from 12:00 clock ) in the WIPARK . The needed for this theater Gutzeitkarte are available at the respective box office . The payment of the parking fee must be made at the pay station in the parking garage. After inserting your parking ticket, you stuck by the theater Gutzeitkarte : The discounted rate will be displayed. After paying at the pay station , the exit ticket is issued.